YES! The is storage is nice and the managers are so friendly. This storage facility is very clean and dry. It is a true climate control facility, we never had a mold, mildew, or rat problem. The managers are very accommodating and friendly. It was easy to access our unit anytime day or night. Clean, Secure, Convenient, Friendly & Great Prices!!! Scott and Stephanie are FANTASTIC property managers. They go above and beyond consistently to make anything and everything a pleasurable and easy experience. I rented a storage unit at this property for over 4 years and never had a problem. Thank you both!! Clean, easy to use, amazing cutsomer service. Best sotrage units I've ever been to. They were more than willing to help with anything I needed. Took care of any questions I had and were happy to just have a friendly conversation. The only issue I ever had was the elevator not working. I told them about it when I left and they called me before i made it home to let me know it was operational again. Overall a great experience. If ever the need arises, I will definitely be going back, and i would not hesitate to recommend anyone else who has any storing needs. "Great service with check in and move in." "Facility was perfect in every sense. Stephanie answered every question I had and was willing to work with me, person to person." "I called and checked out 7 or 8 storage facility's in the Clearwater area, Their prices and space by far blew the other places out of the water. Mike took the time to match the items being stored with a suitable unit where everything fit in a double unit. Amazing man that cares. His wife who handles the billing and paperwork is equally caring. Every time I call or visit the office she always goes out of her way to help and resolve my concern. I've stored there over a year and wouldn't go anywhere else. Great security too. I'd give them 10 stars if I could!!!" 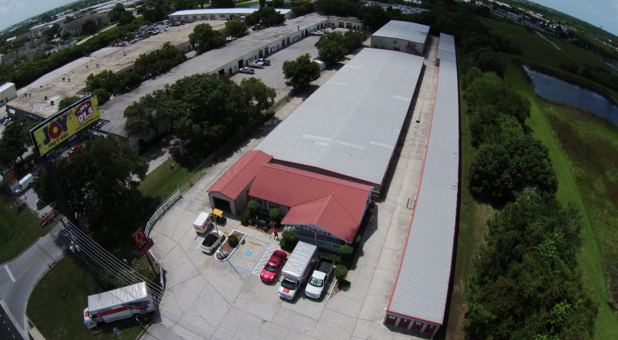 "Owners/managers provide excellent facility and services. Reasonable lease terms."